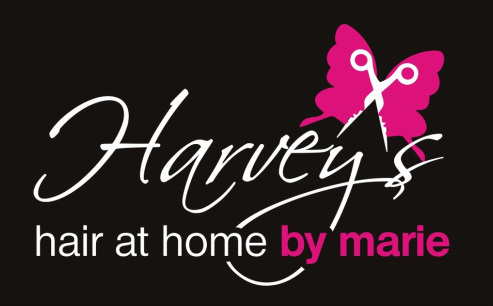 ﻿I am Marie, owner of Harvey's Hair at Home. both freelance/mobile and in a salon environment. I offer a wide range of s﻿ervices, including Hot-bonded and micro weft real euro hair extensions, Hair in Recovery program for medical hair loss sufferers by http://racooninternational.com ﻿the number 1 leading company and am experienced in﻿ a﻿ll hair types, european and afro-caribbean and﻿ ear piercing. I cover Ta﻿unt﻿on and surrounding areas including wellington, bridgwater etc in the south west of somerset. Individual, family, group, party and wedding bookings welcome. I will frequently update and add new things to the site, so please keep your eyes peeled for new services, seasonal and special offers too ! I love to learn new concepts and am always searching for new strings to add to my bow ! Please feel free to make suggestions and requests for services you would like to see offered in the future. Please phone, text, email or le﻿a﻿ve a message on the website contact page for more information and/or to arrange an appoi﻿ntment. ﻿Please subscribe to our mailing list and join us on facebook to receive free info/fact sheets, newsletters and offers!